Make this quick baby cocoon crochet pattern for last minute baby gifts or to make a plush snuggle sack. 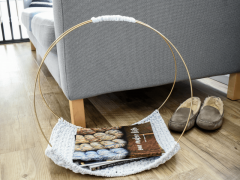 You can make this crochet cocoon in 1 hour with no seams. It will be picture perfect from any angle. No matter how organized I try to be I always need a last minute baby gift. I love to give handmade gifts. But they are time-consuming. 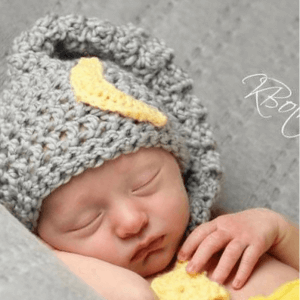 This baby cocoon crochet pattern will be your go-to. It only takes 1 hour to crochet. Whenever I give this crochet cocoon as a baby gift there’s lots of ooooh’s and aaaah’s. Everyone passes around the crocheted baby cocoon because “you have to feel how soft this is”. The baby cocoon is crocheted from the bottom up in a continuous spiral. That means that you won’t be joining at the end of each round. Instead of joining with a slip stitch, you’ll keep crocheting around and around until you have the finished size. Add a stitch marker to the first stitch of the round to help you stay on track. I know the lucky mom you gift this to will want to use the baby cocoon as a photo prop. It will be picture perfect from every angle. Crocheting in a continuous spiral ensures you won’t have a pesky seam. The flower sash is simple to make with a few flowers, embellishments, and a glue gun. For the sash, I used a satin ribbon and cut it long enough to be worn by momma in maternity photos. 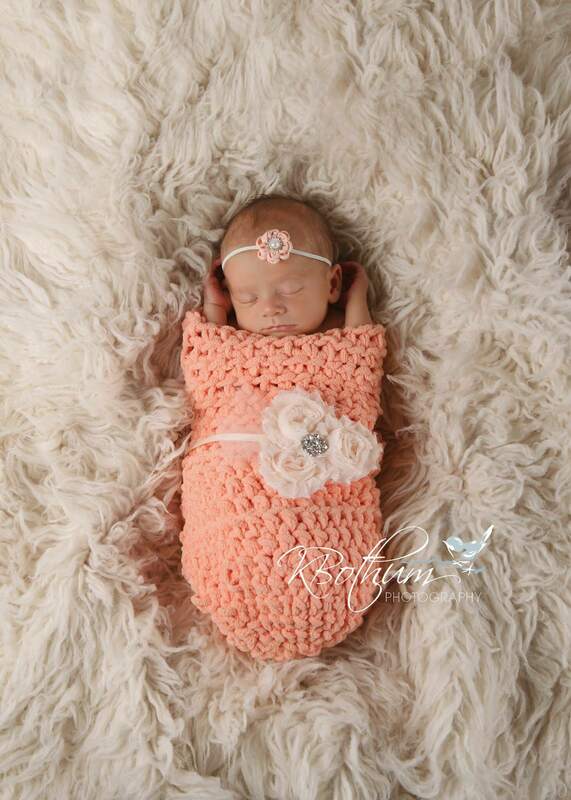 If you are love this baby cocoon crochet pattern you’ll love these pattern too. Add this baby cocoon crochet pattern to your Ravelry favorites here. After you’ve finished round 20, sl st into the next st. Cut your yarn and sew in the ends. I didn’t permanently attach the sash. When you’re ready to use it just tie in a bow around the baby cocoon. All that’s left to do is wrap up your handmade baby gift and wait for the oooh’s and aaah’s. Just wanted to thank you. 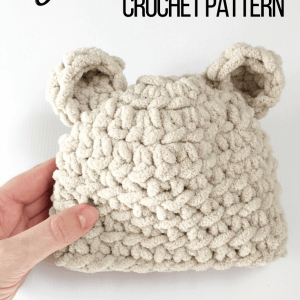 I made the cocoon and baby bear hat, following your pattern. I was a bit apprehensive about whether I could do it. All of it was so easy and adorable! 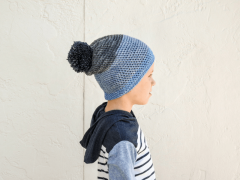 I’m so glad you found the patterns easy and followed through with making them! Wondering what your final measurements are on a completed cocoon? Thanks! I made this and it truly only took about an hour!!! I just learned to crochet less than 2 months ago and this has been my absolute favorite project!! Thank you for sharing the pattern!!! Yay! I’m happy to hear it was a quick project, Mary. You rock for learning how to crochet! This baby cocoon is meant to be a photo prop. I would always make sure the baby is supervised while being in the cocoon. I wouldn’t recommend a baby sleeping in them. Grand Baby gifts is so sweet of you! Enjoy the pattern. I want to make this for a great grandchild being born in Az. in May. If I use a thinner yarn , would I have to add stitches etc. to make the size just right? 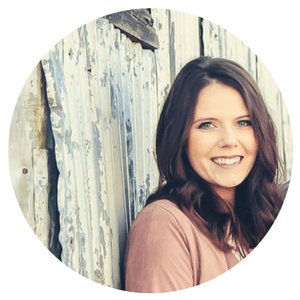 A new great grandbaby is so exciting! Congratulations! To use a thinner yarn with this pattern you will need to add more stitches to each round and a few more rounds to make the cocoon long enough. The Bernat Blanket Yarn now comes in a worsted weight too. You could have the same softness but less bulk. I made it! And love it! Loved the patter and very fast! Good to hear! 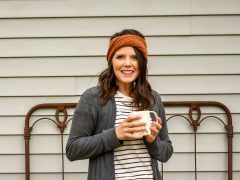 I love quick projects too!